Yesterday, I put my 14-year-old son on a plane and sent him 1,400 km across the country. He’s actually taking part in a week-long national program for youth called, Encounters with Canada. I already miss him like crazy, but I’m not worried. I’m confident that he is going to have an incredible experience. And it’s not just because he’s 14 going on 40 or because the program has been running for 31 years or even because his cousin just got back and said it was, like, totally awesome. It’s because I know he’s resilient. He’s got the roots; it was time for him to stretch his wings. Ginsburg, an associate professor at the University of Pennsylvania, School of Medicine, says helping children develop these seven character traits will not only help them succeed in life, but it will also allow them to bounce back from whatever challenges life might throw at them. It makes them resilient and gives them roots. To me, teaching is much like parenting. We need to trust that by the end of the school year, we have provided our students with the solid foundation they need to move confidently to the next grade or stage of their life. We also need to have faith that someone else will pick up the line once we let go. One of the joys (?) of never having a permanent contract is that I have had the opportunity to work with students and teachers at almost every grade level, including a stint teaching ESL at a university. And I know that while elementary school teachers work their butts off to help their students, so do middle-school teachers and high school teachers. Even university and college professors will spend one-on-one time with struggling students. It’s something all good teachers have in common. Letting a student or a child move on without us doesn’t mean we are throwing them to the wolves. It means that once we’ve done our job, we have to step back and trust. We have to trust that we have planted deep, strong roots that will help our children feel solid and secure and grounded. Then we have to trust that our children will remember these lessons and use them to guide their decisions. Dr. Ginsburg says our goal should be to “think in the present and prepare for the future”. He says that as teachers and parents we should aspire to help children become successful 35-year-olds. We shouldn’t always be thinking about the next grade or the next stage, but instead about how all of these experiences will come together to create an independent, self-sufficient happy adult. It’s about raising our children to be emotionally and socially intelligent. Loving parents and strong teachers naturally give their children roots. That’s the easy part. Giving our children wings is a little harder. It means you have to let go. We spend so much time holding our children tight and keeping them safe, that letting them go seems to go against the very laws of nature. It’s not easy, but when you let go and you see them soar? Previous postThe Sunshine Award – Yes, it’s all about me. Please never stop blogging…. I love your posts! That’s just about the nicest thing anyone’s ever said to me. Thank you! Oh, I love this post! And I need it, too! I am one of those “can’t let go” teachers. I want to hold onto “my” kids forever. But “He says that as teachers and parents we should aspire to help children become successful 35-year-olds.” is a truly wonderful motto for us all! Yes, I do the same with some of my students. The ones you work hard with all year and then you have to send them off to someone else? Yikes! This one totally resonates with me! Letting go is soooo hard! 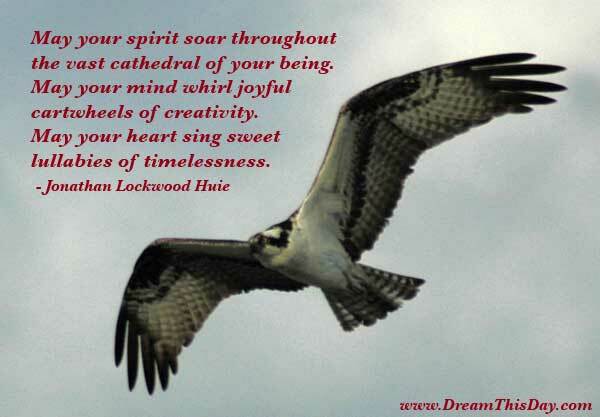 But you are right that there is joy in seeing them soar! Thanks for this! Thanks, Janice. I didn’t mention that sometimes they crash and then you feel soooo sad and guilty but oh well…part of life, I guess. Adventures like this are so good for kids that age. When I was 13 years old I took a bus from Fredericton to Calgary with my girlfriend. We stayed for 6 weeks with her older sister…then we took the bus back. My two kids (13 & 15) just got back from 10 days in BC skiing with their uncle. 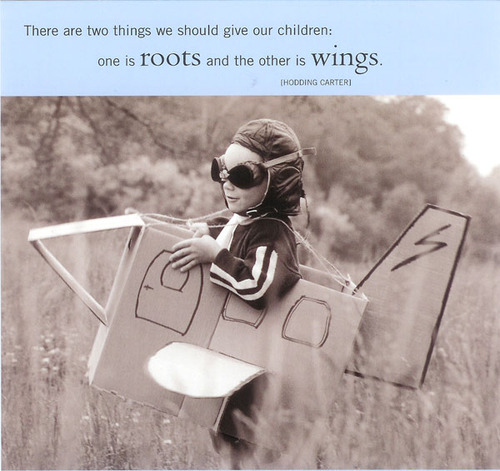 It’s healthy for kids to “spread their wings”!